Irvine, CA (RestaurantNews.com) Yogurtland is welcoming fall early this year with the return of its popular Pumpkin Pie frozen yogurt. Available at select stores nationwide, Yogurtland is giving fall fanatics a jump start to the seasonal pumpkin craze with every spoonful of this decadent treat. “Guests tell us how much they love our Pumpkin Pie so we’re bringing it out earlier this year. It’s interesting to see the creations our guests make with Pumpkin Pie. 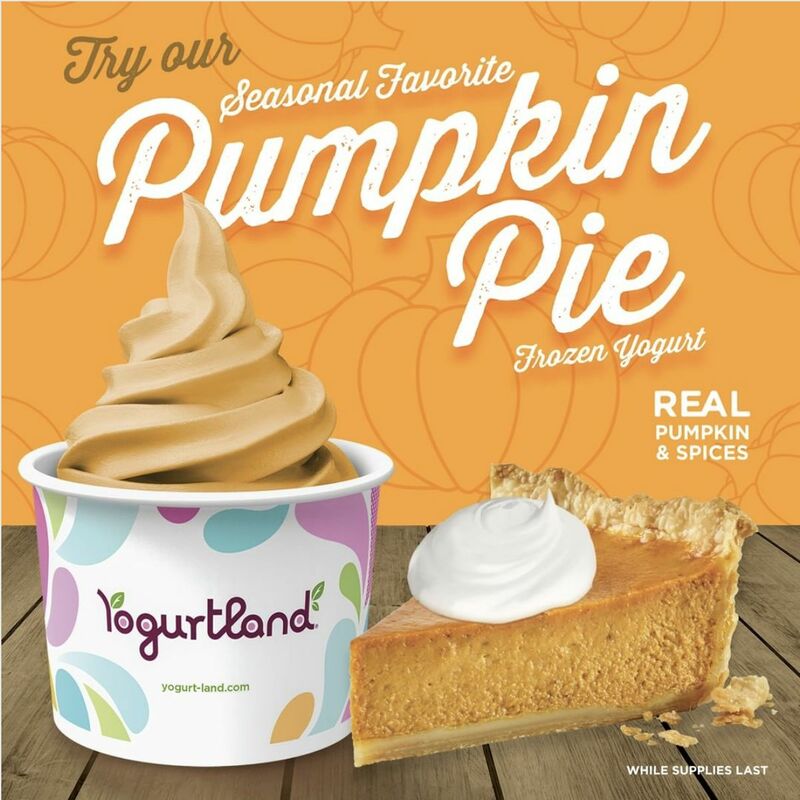 My personal favorite is our Pumpkin Pie yogurt alongside our Real Vanilla Ice Cream” said John Wayne Carlson, Yogurtland’s SVP of Marketing, Development and Operations.